Liberals have been bitter about the fact that Donald Trump beat Hillary Clinton in the presidential election for over a year now. 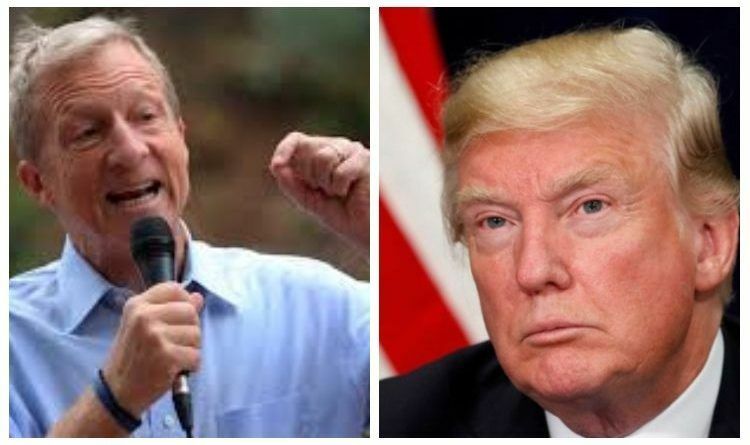 On Friday, Californian billionaire Tom Steyer announced that he will spend at least $10 million into a national television advertising campaign calling for President Donald Trump’s impeachment. Today he went all in and attacked President Trump again! Tom Steyer has a degree in economics and political science. I didn’t see any degree for a law. Mark Levin is a Constitutional lawyer who worked in the Reagan administration., and he said what was done between Trump, Cohen, and whatever the third party does not break any laws, and I would bet my money on Levin is right.